The Duke I Once Knew BLOG TOUR!! The Duke I Once Knew by Olivia Drake was released today December 31st, and to celebrate I am participating in a Blog Tour for the book! 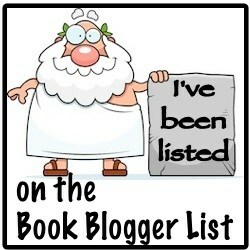 If you haven’t already seen it, you can find my review of the book under Book Reviews on my site. See below for more information about the book, a short author bio, and an excerpt! This was a really good read and I would recommend checking it out! For years, Abigail Linton devoted herself to caring for her parents and her siblings’ children. Now, eager to create a life of her own, Abby seizes upon a position as a governess on a neighboring estate. Unfortunately, her absentee employer is Maxwell Bryce, the Duke of Rothwell, the notorious rake who once broke her youthful heart. But since he hasn’t set foot on his estate for fifteen years, Abby assumes she’ll never have to lay eyes on him ever again. Then, from out of nowhere, Max appears. He is stunned to come face to face with the girl next door he fell for years ago—before he went away, and she stopped writing to him … even though Abby swears that he is the one who left her without a word. Could it be that this spirited, witty spinster has won Max’s heart all over again—and that they may have a second chance at love? If she made her presence known, the duke would find out that Miss Abigail Linton was the new governess. She could not be absolutely certain that he had forgotten her. And if he did remember, he surely would dismiss her on the spot, for he wanted nothing to do with her. Her spirits fell into a fit of the dismals. That would mark the end of her little adventure out into the world. Oh, she could apply for a position elsewhere, but who would hire her if she’d been summarily discharged from her previous post? She would be forced to return to her brother’s house and resume her predictable life as the maiden aunt, growing withered and gray, shuttled between relatives, with no real say in her future. In the midst of her meditations, she couldn’t help over- hearing the syrupy drivel of their tête-à-tête. debauchery! He was the worst of rogues, the king of scoundrels. A more wicked man had never been born—! Too caught up in remonstrations to watch where she was going, Abby bumped her hip hard against a mahogany pedestal. A little squeak escaped before she could clap her hand to her mouth. At the same instant, a faint clanking noise drew her attention upward. The Duke of Kisses BLOG TOUR!! First Earl I See Tonight BLOG TOUR!! First Earl I See Tonight by Anna Bennett was released this past Tuesday, October 30th, and to celebrate I am participating in a Blog Tour for the book! If you haven’t already seen it, you can find my review of the book under Book Reviews on my site. See below for more information about the book, a short author bio, and an excerpt! This was a really good read and I would recommend checking it out! Anna’s books include the Wayward Wallflowers series and the Debutante Diaries series. The Duke With the Dragon Tattoo BLOG TOUR!! The Duke With the Dragon Tattoo by Kerrigan Byrne was released this past Tuesday, August 28th, and to celebrate I am participating in a Blog Tour for the book! If you haven’t already seen it, you can find my review of the book under Book Reviews on my site. See below for more information about the book, a short author bio, and an excerpt! This was a really good read and I would recommend checking it out! The Duke of Seduction BLOG TOUR!! The room wasn’t overly large, and it was—seemingly—empty. It also wasn’t terribly well lit, with a low fire burning in the grate and a pair of sconces flickering on the wall on either side of the fireplace.